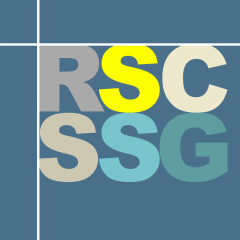 The Knox Medal is awarded by the RSC Separation Science group to individuals deserving special recognition for their innovative and influential work in the field of separation science. It was first awarded in 2010, and this year at HTC-15, we were delighted to announce that the 2018 Knox Medal will be presented to Prof James Jorgenson for his many achievements over the course of a highly successful career as an innovator and separation scientist, with a particular acknowledgement of his seminal contributions to the development of ultrahigh pressure liquid chromatography (UHPLC) and capillary electrophoresis (CE). The RSC SSG will be presenting the award to Prof Jorgenson at a special one-day symposium in honour of his work on the 29th of June 2018 at Burlington House. The symposium features eight talks on the history, current state-of-the-art and future directions of separation science, by world-leading experts from academia and industry. As described in the preliminary agenda, the talks will emphasize the extensive impact of Prof Jorgenson’s research and his role in developing advanced LC instrumentation, which has had far-reaching consequences for the practice of separation science. Full registration details can be found here; as usual, special registration rates apply for members of the RSC and student attendees. There’s less than a week before our Spring meeting on ‘Advances in the Chemical Analysis of Food’, organised together with the Royal Society of Chemistry’s Food Group. Analytical chemistry is vitally important to the food industry, the UK’s biggest manufacturing sector, and this biannual meeting features the most recent analytical innovations to help ensure food is safe, authentic, nutritious and enjoyable. The final agenda is now available and includes talks by Prof Andy Taylor (Flavometrix/University of Nottingham), Dr James Donarski (Fera), Dr Kathy Ridgway (Anatune), Dr Dara Fitzpatrick (University College Cork), Dr Laura McGregor (SepSolve Analytical), Dr Simon Hammann (University of Bristol), Prof John Dean (Northumbria University), and the SSG’s own Prof John Langley (University of Southampton). We have special registration rates for RSC members and students, and a limited number of travel bursaries are still available for undergraduate and postgraduate students. Registration is open till April 26th, and more details regarding the meeting agenda, venue location and registration can be found at the RSC’s Event listing here. WWEM 2018 will take place on from the 21st to the 22nd of November 2018 in Telford (UK), and is the 8th in the series of International Water & Wastewater Monitoring Events. These events focus on companies and individuals involved with water, waste water and environmental monitoring. This year, WWEM will showcase over 150 companies which provide instrumentation, equipment and services to monitor, test and analyse water and waste water, as well as 80 free technical seminar sessions on applications and case studies. If you would like to be considered for an oral or poster presentation, please submit an abstract of 200-500 words, briefly highlighting the application area, key benefits and novelty of your research via the WWEM submission portal (here). The closing date for oral abstract submission is 30th April 2018. The SSG has now extended the deadline for submission of applications for the 2018 Separation Science Group Summer Studentships. The proposed project may be conducted at any UK university, or commercial organisation, and may involve any aspect of separation science. Projects should emphasize separation techniques such as chromatography, CE, SPE, ion mobility etc., but may also involve the application of appropriate data analysis strategies, processing tools, and predictive modelling approaches to data obtained from any separation technique. Complete application guidelines and materials are available on our Funding page, and applications should be received by the SSG by 5 pm on March 31st, 2018. If you’re a student, make sure your prospective supervisor is aware of this opportunity, and if you’re a supervisor, send in your application today! Analytical chemistry is vitally important to the food industry, the UK’s biggest manufacturing sector, and separation science contributes to its role in ensuring food is safe, authentic, nutritious and enjoyable. The RSC’s Separation Science Group and the Food Group are thus pleased to announce the second bi-annual, one-day meeting on ‘Advances in the Chemical Analysis of Food’. The meeting will be held at Burlington House in London, on the 27th of April (2018). Confirmed speakers include Prof Andy Taylor (Flavometrix/University of Nottingham), Dr Dara Fitzpatrick (University College Cork), Prof John Dean (Northumbria University), Dr James Donarski (Fera UK) and the SSG’s own Prof John Langley (University of Southampton). Special registration rates for RSC members and students, and a limited number of travel bursaries are available for undergraduate and postgraduate students. Registration details are available here, and a full agenda will be available soon. Abstract submissions for oral presentations will be accepted till the 2nd of March (that’s this Friday! ), and you can register all the way till the 26th of April – though you really should register today! The brilliant separation science: The conference programme speaks for itself – three days of great talks, posters, vendor exhibits, and all your favourite separation scientists under one (historic) roof. The 2017 Knox Memorial Lecture (Prof Peter Myers!!! ): As you may have heard, Prof Peter Myers was awarded the 2017 Knox Medal, and will be opening the conference with a plenary lecture entitled Why do we still use silica?, which we expect will be the usual scientific tour de force that we’ve come to expect of him. The short courses: Three day-long short courses on SFC, biopharms and statistical analysis of chromatographic data, all led by experts and innovators in these fields. The excellent posters: Poster presentations are a great way to discuss new research with the scientists who produced it, and HTC-15 has some great new research on show at the poster sessions. You can still submit late-breaking poster abstracts here. The fabulous early-career researchers: The 24 ECR talks and many ECR posters are a heartening reminder that separation science continues to attract the best and brightest talent. The vendor exhibits and seminars: Hear the latest news from all the big vendors and see how their products can help you do better science. And if that isn’t enough, cough vendor freebies cough. The networking opportunities: A gala conference dinner, a beer degustation event, and all those coffee breaks between sessions – that’s plenty of time to strike up a conversation with that researcher you always meant to collaborate with, that ECR who you think would make a great new addition to your institution, or that keynote speaker whose work has always inspired you. The venue: Did we mention that the venue is the historic, beautiful Cardiff City Hall, in the middle of the Welsh capital, home to this castle and this museum and this market? And that Great Western Railway offers discounted rail tickets to anyone travelling to Cardiff for a conference? The fact that you really really want to: because HTC-15 is the premier analytical conference in the UK in 2018, and because reasons 1-9 are very persuasive. So don’t wait, register now!